Look what I saw while heading to work on the metro today! 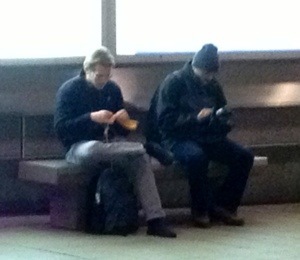 Props to any guy who is willing to knit in public. It looked like he had just started a project- I’ve brought stuff with me to work on before but once it gets big enough, its too much if a hassle. Do you guys bring your knitting with you?